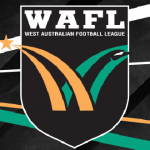 JUST one team remains undefeated in the West Australian Football League (WAFL) Colts competition, while every side has had at least one win following the conclusion of round three with East Fremantle and Perth getting on the board. The results meant just four points separate second from ninth heading into round four. East Fremantle enjoyed its first win of the 2018 season, handing Claremont its first loss in the process. The Sharks led at every break, but a nine goals to four second half was the difference between the teams, with the visitors running out six-goal winners. Trey Ruscoe was the dominant force for the Sharks in the win, booting six goals from 20 disposals, four marks, eight inside 50s and seven tackles in a best on ground performance. Trent Rivers was the highest possession winner with 21, while also taking seven marks and laying three tackles, just ahead of Tom Joyce (20 disposals). Ruscoe was ably assisted up forward by Cody Smith who booted three goals, while Jeremy Sharp had 15 disposals, six marks, five inside 50s and booted a goal. 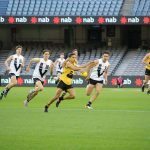 For the Tigers, Rylie Morgan had 28 disposals, four marks, seven tackles, five inside 50s and booted two goals, while Tyron Smallwood also had 28 disposals and laid seven tackles. Angus Longmire was the dominant ruck on the day with 33 hitouts and 11 disposals. The two undefeated sides from two matches clashed in round three with Subiaco showing a clear dominance, coming away with a 36-point victory. The Lions had just one more scoring shot, but dominated possession and booted 9.2 to 0.6 after half-time to run away with the victory. Liam and Will Hickmott continued their strong form for the winners, picking up a combined 50 disposals, 10 marks and laying nine tackles. Taj Schofield was also impressive through the midfield with 22 disposals, five marks and three inside 50s, while Jack Mayo was the hero up forward, booting five goals from 14 disposals and four marks. For Swan Districts, Mitchell Bain had 19 disposals, six marks and kicked a goal, while Jarred Cameron was strong defensively, laying seven tackles to go with his 19 touches. Graydon Wilson (18 disposals, six marks, 10 tackles) could also hold his head high after a good performance. After a poor first half, West Perth turned the tables on South Fremantle to boot seven goals to three after half-time to record the narrowest of victories. 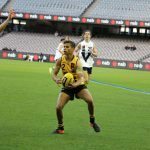 The Falcons made the most of the momentum switch to win their first match of the season, leaving no WAFL Colts side without a victory. For the Bulldogs, they will be disappointed not to have gone on with it after half-time, remaining just percentage ahead of East Perth at the bottom of the table. Nathan Murray starred for the Falcons in the victory, notching up 31 disposals, two marks, five inside 50s and most importantly, two goals. He was ably assisted by Bailey Chalmers who had 27 disposals, six marks, five tackles and booted a goal, as well as Alex Johnson who racked up 26 disposals and took nine marks. 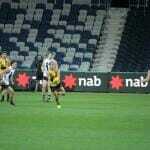 Eamon Gilbert was also good in the ruck with 17 disposals and 22 hitouts. For the Bulldogs, Kyle Hamersley had 16 more disposals than his next closest teammate with 36, along with five marks and five inside 50s. James Russell and Tom Blechynden had 20 disposals each, while Lachlan Feeney was dominant down forward with four goals from 15 disposals and five marks. Perth enjoyed its first win of the 2018 season in round three as well to jump up to sixth on the table with a comfortable 45-point win over Peel Thunder. 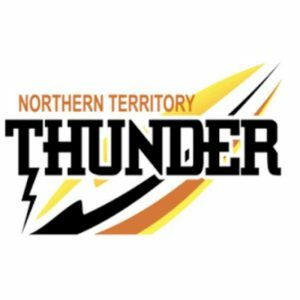 With their top players in, Perth’s classy midfield shone against the Thunder, with the home side taking control in the second term to boot six goals to be level at half-time. In the second half it was all the Demons as they booted 10 goals to two to run away with the contest. Top 10 hopeful Ian Hill had a day out with 28 disposals, three marks, three inside 50s and two goals, only spoiled by three behinds on the day. Deven Robertson continued his strong form with 34 disposals, three marks, five inside 50s and five tackles, while Luke English was close to best on ground with three goals from 25 disposals, five marks and five tackles. Sydney Stack (23 disposals) and Simon Hayward (22 disposals) were impressive, while Bailey Smith made the most of his opportunities up forward with three goals from seven disposals. For the Thunder, Jarrad Fazioli had 22 disposals, five marks and four inside 50s to lead the way, while Lachlan Riley had 21 disposals, six marks and five inside 50s. Tyson Powell made an impact up forward with 2.2 from 17 disposals, while Fremantle Next Generation Academy member Jason Carter had 15 disposals and four marks in the Thunder’s loss.